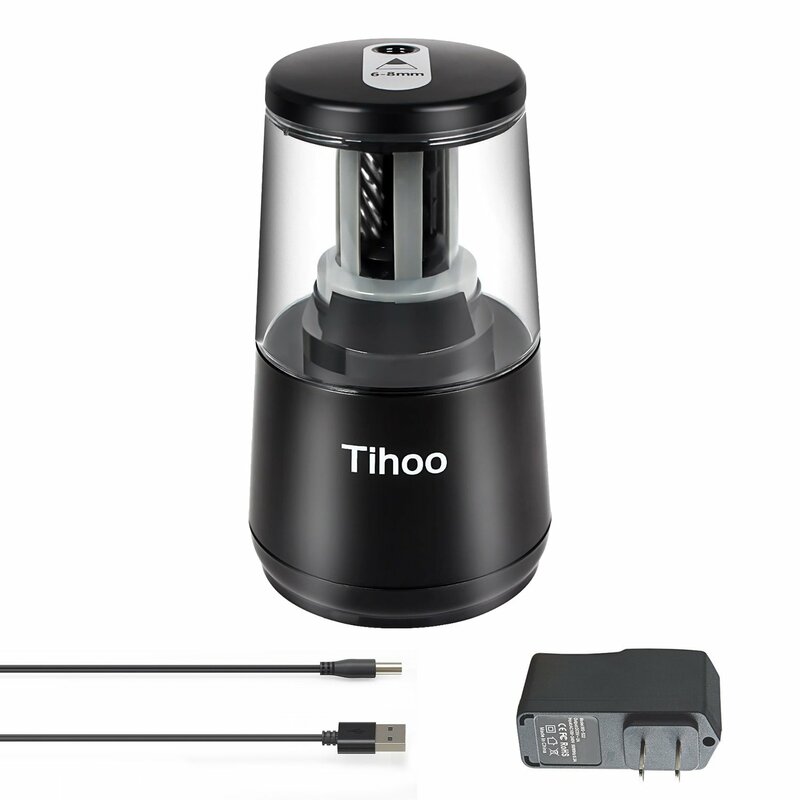 Multiple Power Sources: Electric pencil sharpener is engineered to work at your convenience.It can be empowered by using 4 AA batteries (not included).Or just plug to an electrical outlet using the USB-cable and AC adapter. Quick and Easy to Use:Equipped with durable helical blade, this small electric sharpener provides fast sharpening to your pencils within 4-5 seconds.All you have to do is press the pencil into the entrance.And let the sharpener do the rest until it stops automatically. Auto-Stop:Featuring auto-stop function and safety mechanism, teachers choose our electric pencil sharpener for their classroom supplies.The smart sharpening technology sharpens the pencil at a perfect point. No Need to Empty Constantly:Electric pencil sharpener have large reservoir can keep a lot of shavings .When it’s time to throw the excesses, just simply turn right and open the lid to empty the container.